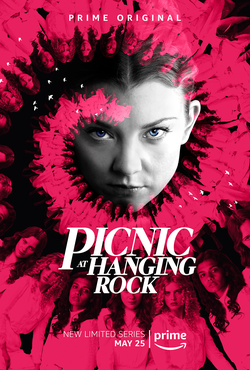 This is a fantastical story with Natalie Dormer. It follows more or less the Todorov’s definition of the genre as we are presented with a mystery that could have two or more explanations either rational or supernatural. This 6-episode Australian TV mini-series is based on a 1967 novel by Joan Lindsay which was also quite successfully adapted as a movie in 1975 by Peter Weir. It retells the story with more modern themes (like gender identity) and, like many other recent series or movies set in the victorian era, it is ultimately about the powerlessness of women in society at that time and all the distress that such situation was causing them. It is a very interesting and entertaining story but the storytelling a little confusing. It is beautifully filmed but fails to capture the mystical atmosphere essential for the genre and which the movie succeeded to establish. All in all, it’s a rather average and unremarkable series. This ambivalence is well expressed in the Rotten Tomatoes ratings (80% for the critics versus 58% for the audience).